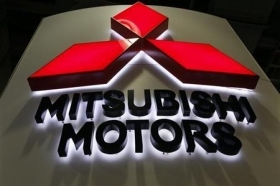 TOKYO -- Mitsubishi Motors Corp.’s net income fell 14 percent to 28.1 billion yen ($234.6 million) in the fiscal second quarter ended Sept. 30 from a year earlier, the company said today. The drop came despite a 9.2 percent rise in revenues, to $4.75 billion. Operating income rose 26 percent to $332.3 million, the automaker said in a statement today. The automaker didn’t say why second-quarter net fell. But its explanation for a decline in fiscal first-half earnings offered some hints. In the six months to Sept. 30, net income fell 14 percent to $434.8 million, even as revenues rose 3.4 percent to $8.93 billion. Operating profits fell 6.8 percent to $487.8 million. Mitsubishi said the drop in fiscal first-half profits was due to increased costs related to quality measures, including recall-related costs. Those erased gains from cost reductions, including savings from lower raw-material costs. At the net level, a rise in income taxes paid also trimmed profits. Unit sales rose in the U.S. and Western Europe, but fell in Japan, Asia outside of Japan, and Europe as a whole. On an operating-income basis, North America swung into the black from a year-earlier loss, while Europe’s profits fell. Japan remained in the red, while profits from Asia outside of Japan, the company’s largest profit contributor, rose.